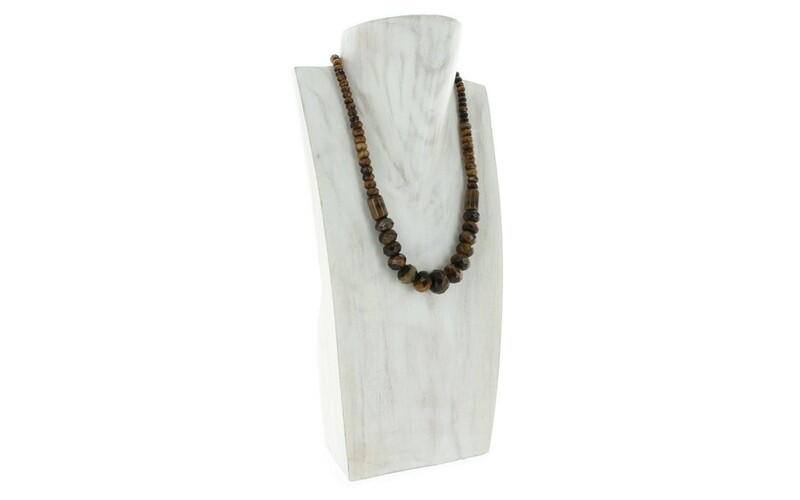 Purely Tiger Eye stones in this single strand beaded necklace! 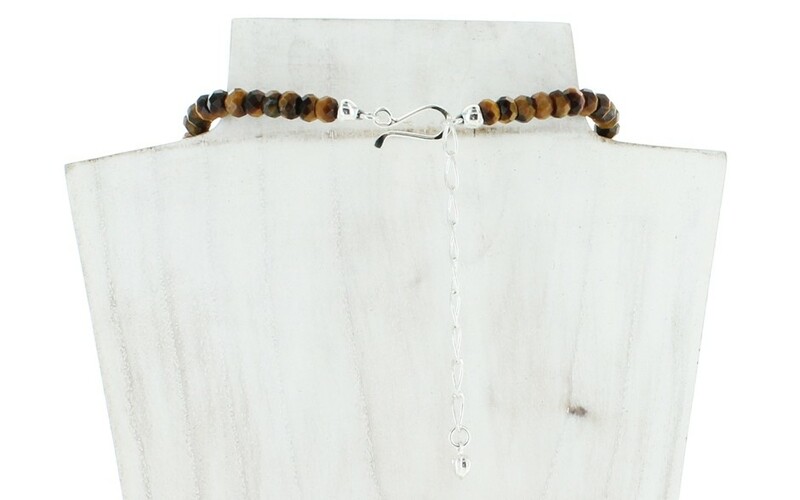 Faceted rondelles in graduated sizes, plus a couple of cylinder beads are featured, making this a simple, yet classy style. 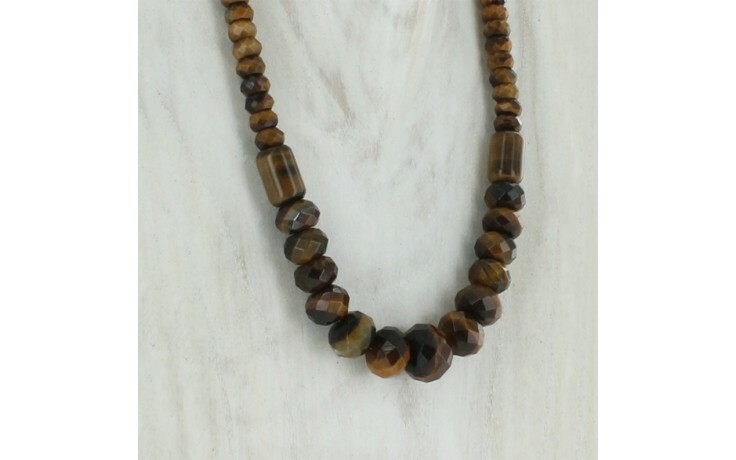 Each bead exhibits chatoyancy due to the internal fibers of this semi-precious gemstone. 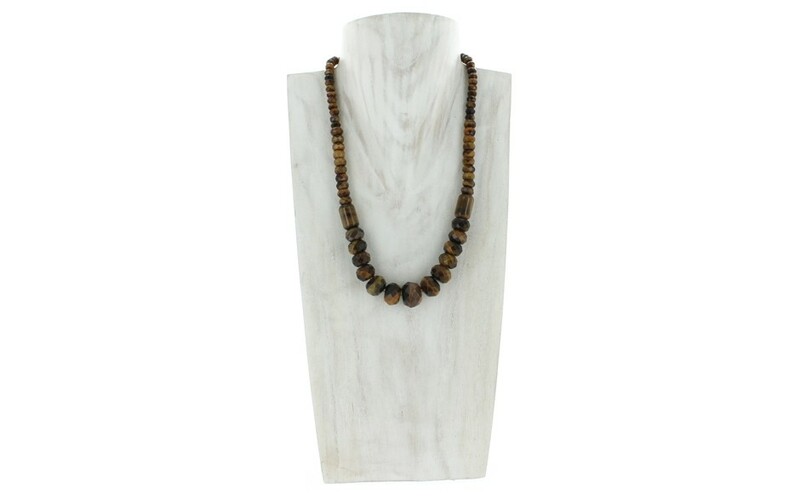 The largest bead measures 12 x 16mm and the smallest measures 6 x 4mm.